It may only take minutes to get millions of X,Y and Z points from your scanning equipment, but through the simplicity and power of our post processing software package Point Cloud Viewer, you can convert the data to a workable format with ease. 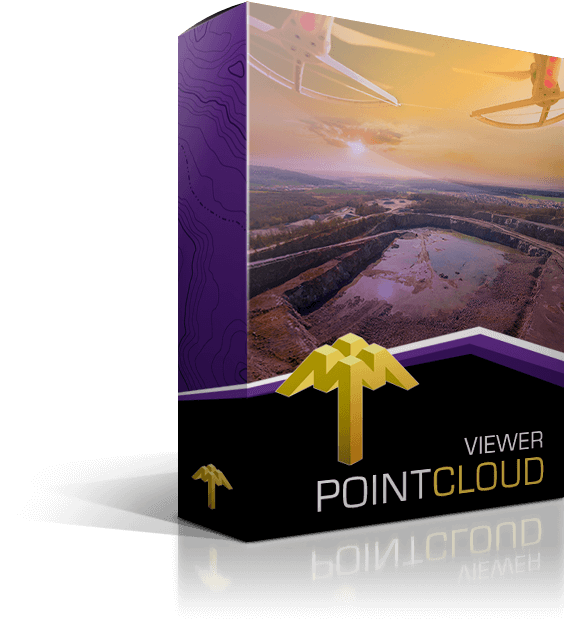 Point Cloud Viewer has the functionality to handle the millions of points easily and get the into Model Maker to begin normal modelling. 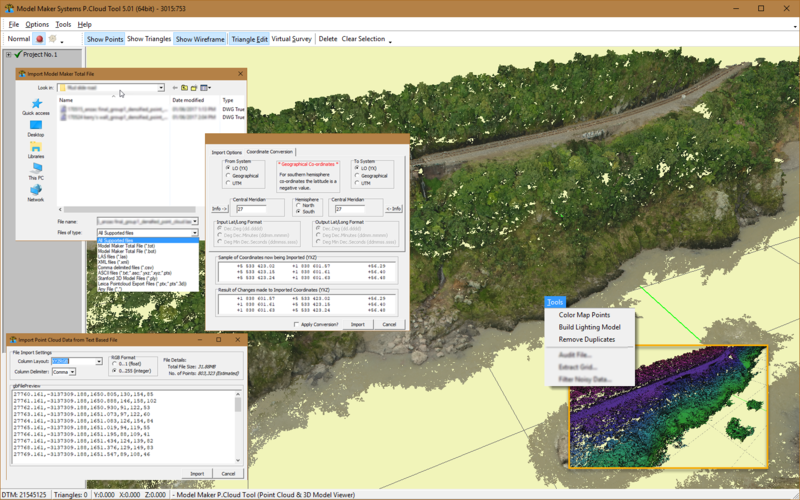 A virtual survey module with which data can be extracted for use in Model Maker or any other DTM software package. Remove noise and audit data by classification or user defined parameters. 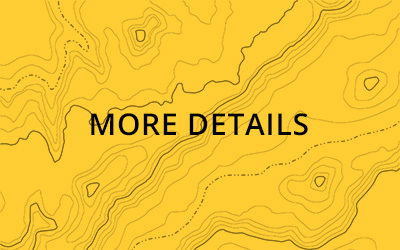 This also module also includes geo-referencing of scanned data. 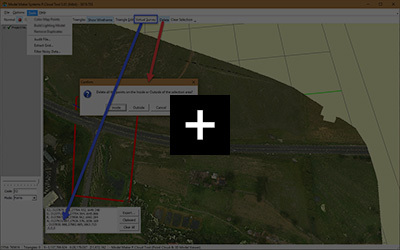 Please notePCV will only run on the 64 bit Windows platform to allow for very large data sets and is only usable as a viewer in the trial version. 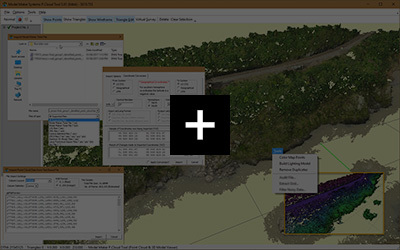 The basic module for Point Cloud Tool will include importing popular point cloud formats and Model Maker coordinate files. 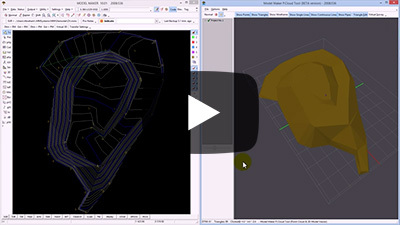 It includes functions to do a Color based height analysis, filter out duplicate points and apply shading to the point to enhance the 3D view of the model. 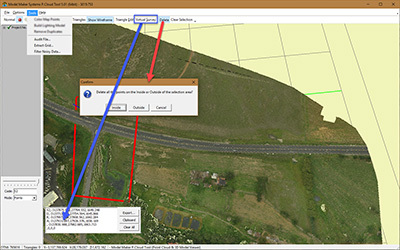 The Virtual Survey and Triangle Edit functions also come with this module but needs to be used in combination with Model Maker to unlock the full capabilities of these functions. With the Virtual Survey feature the user will be able to use the mouse cursor to select survey points from the point cloud into a temporary editor in the program which can then later be exported to a file to copied into the clipboard. 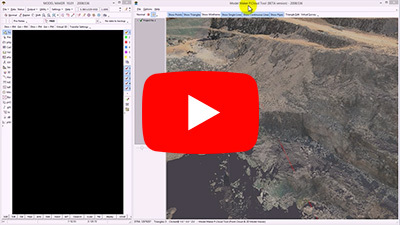 When combined with Model Maker the virtual survey points can be sent directly into the active Model Maker project for quick data extraction from the point cloud data. The Triangle Edit function needs a running copy of Model Maker in the background to be able to edit triangles in the 3D environment. 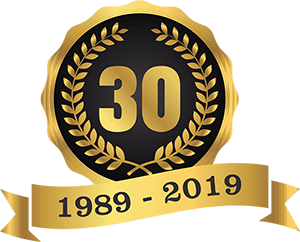 The same project data can be loaded in both Model Maker and Point Cloud and as needed the user can jump between the two programs to either edit the Triangles in 2D or 3D environment for optimal accuracy. This module will give some functions to help cleaning and extracting data from the point cloud model. 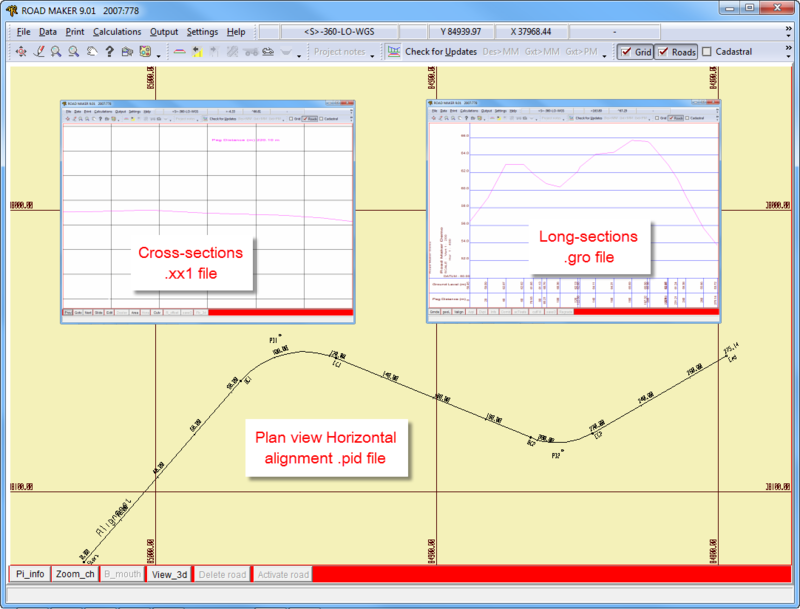 Some of the included functions are Audit data, Extract Grid and Filter Noisy Data.